There are tons of meditation and mindfulness podcasts out there, and it can be hard to weed through them all to find one that fits your needs. 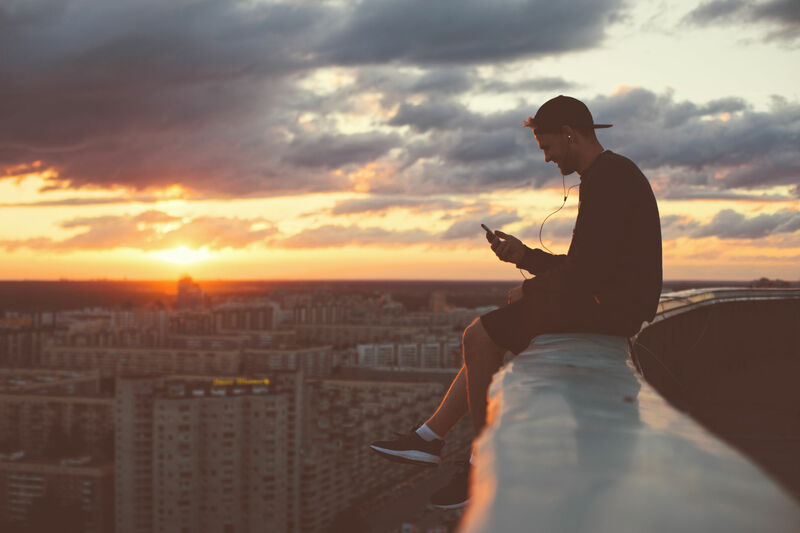 Although one style doesn’t work for everyone, we have compiled what we find to be the best meditation and mindfulness podcasts currently running. We couldn’t pick just one to be the best meditation podcast, so these are 19 different ones, listed in no particular order! First, we have to mention that One Mind Dharma has a few podcasts of our own! We didn’t feel right about including them in our actual list of our favorites, but wanted to mention them. 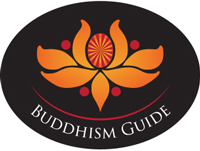 Our podcast Buddhist Guided Meditations is exactly as it sounds: a podcast with guided meditations covering a variety of topics related to Buddhist meditation. 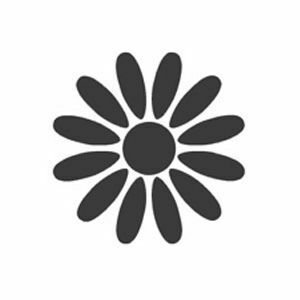 Our other podcast, Dharma Talk, is a casual conversation between the teachers at One Mind Dharma about mindfulness, meditation, compassion, and more. This is a great podcast to listen to on the go to get your daily dose of dharma! Audio Dharma is one of our favorite podcasts out there. Recordings from Insight Meditation Center in California, Audio Dharma has talks from Gil Fronsdal, Max Erdstein, Andrea Fella, Nikki Mirghafori, and more. 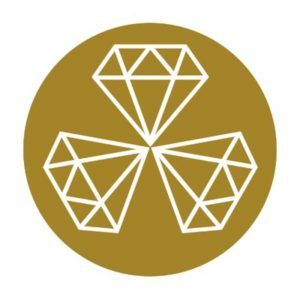 This podcast has longer talks and shorter talks, called dharmettes. Gil and the teaching team at IMC offer insightful talks covering a ton of important Buddhist teachings, and we always learn something listening to them share about the dharma. You can listen on their website, download their new mobile app, or listen in your favorite podcast player! Tara Brach is one of our favorite teachers. With extensive experience practicing and teaching meditation, a Ph.D. in clinical psychology, and deep insight into the mind and body, Tara offers amazing meditations and teachings that we highly recommend. Although she teaches about a variety of subjects, many of her talks and meditations focus on trauma, opening the heart, and healing. You can find her talks and meditations on her website, or on your favorite podcast store. 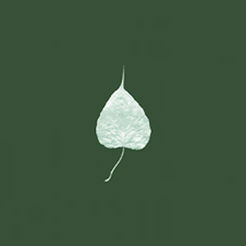 Dharma Seed was one of the first meditation and mindfulness podcasts we listened to regularly. One of the oldest productions still around, this podcast contains teachings and meditations from various teachers across different schools. Many of the recordings on this podcast come from Spirit Rock Meditation Center, and teachers like Jack Kornfield, James Baraz, and Joseph Goldstein are often featured. You can check out DharmaSeed.org or find them on iTunes and Google Play! They also have their own mobile app available. Metta Hour with Sharon Salzberg is always interesting. Sharon, one of the most prolific metta teachers in the West, has conversations with teachers, meditators, psychologists, and other experts. 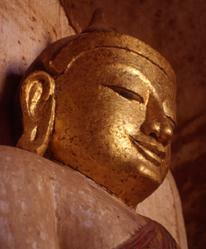 Topics include metta, compassion, mindfulness, and other Buddhist related topics. This podcast always changes things up, and each episode offers something new! You can check it out on iTunes, Google Play, or online! Buddhism Guide by Karma Yeshe Rabgye is a podcast with dharma talks, discussions about meditation, and more. A teacher in the Kaygu tradition of Tibetan Buddhism, Karma Yeshe Rabgye offers teachings from his years and years of deep practice and understanding of the dharma. 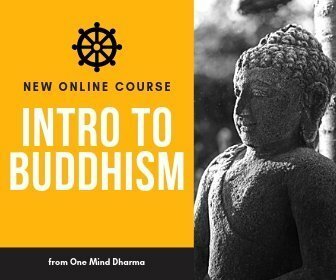 His website BuddhismGuide.org has his talks, and you can also find them on iTunes, Google Play, and more! The Buddhist Geeks podcast is quite the fun one. I’m a geek myself, so I was drawn to this podcast from the moment I saw the name. Despite the name, this is largely a secular podcast in which the hosts discuss mindfulness, ethics, compassion, and modern issues. From race and social justice to technology and the latest research, Buddhist Geeks really cover it all. One of the reasons I love this show is the always different topics and unique perspectives they offer! You can check them out at BuddhistGeeks.org. Zencast is a podcast that produces one episode a week, with various practices and dharma talks. Gil Fronsdal is definitely the most common teacher found on Zencast, but there are many wonderful teachers from Insight Meditation Center and elsewhere. This is a great podcast offering hand-selected teachings and episodes from different teachers, and offers a regular Sunday talk and practice for you every week. Check them out on your podcast store, or visit their website at ZenCast.org. Tricycle Talks is the podcast from Tricycle Magazine, a leading Buddhist periodical. You can check their magazine out and subscribe here, but we’re here to talk about their podcast! The Tricycle Talks podcast is a collection of conversations with some of the top teachers, thinkers, and leaders in the world. Every week, a new episode is released on a topic related to mindfulness, meditation, compassion, and/or current events. With teachers like Mark Epstein, Sharon Salzberg, Guy Armstrong, and more, this is a star-studded show we highly recommend checking out! You can find them on iTunes or your favorite podcast store. The Amaravati podcast is a collection of talks from one of the biggest monasteries in the Thai Forest tradition of Theravada Buddhism. Located just northwest of London, this temple is led by some insightful, wise, and eloquent monks. Their talks contain teachings from Ajahn Candasiri, Ajahn Ariyasilo, Luang Por Pasanno, Ajahn Amaro, and more. These are Theravada dhamma talks. Although they may be a bit dry compared to some of the more modern meditation podcasts, they are full of wisdom and insight. You can find the podcast on iTunes here. This is probably the podcast on this list I personally listen to most regularly. Thanissaro Bhikhhu is a well-respected monk, scholar, and translator of the Pali language. His deep understanding of the Buddhist teachings make this a podcast worth listening to. Having ordained over 40 years ago as a monk, Thanissaro Bhikkhu offers talks on the suttas, practice, concentration, metta, and more from his monastery in San Diego. 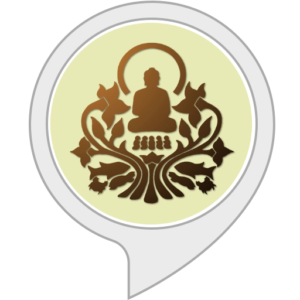 You can listen to it at DhammaTalks.org, and rumor is you can even ask your Amazon Alexa to “listen to dhammatalks” to get these episodes on your speaker! The Against the Stream podcast is a collection of talks from the teaching team at Against the Stream in Los Angeles, San Francisco, and related sitting groups. Teachers include Noah Levine, JoAnna Harper, Mary Stancavage, Vinny Ferraro, and various guest teachers. Against the Stream offers an approachable form of Buddhism and meditation, and is often known as the “punk-rock” meditation center. The talks really focus on the Buddha’s teachings in a way in which we can understand easily. The teachings on meditation and mindfulness are applicable to our daily living, and can help us investigate the dharma with deeper understanding. They can be found on their website, iTunes, and many other podcast applications. The Meditation Oasis podcast is one of the most popular podcasts on meditation and mindfulness available out there. This is not a Buddhist meditation podcast, but incorporates a more open, new-age approach. This may or may not be what you’re looking for, but it’s a great offering that many can benefit from. The teachers have deep practices, incredible passion, and joy in teaching which is contagious. You can check it out on their website or find the podcast on iTunes and Google Play. The Secular Buddhist podcast is another must-listen. Provided from the Secular Buddhist Association, the podcast contains conversations and teachings from some amazing teachers, such as Spring Washam, Ethan Nichtern, and Stephen Batchelor. This podcast really focuses on bringing these ancient Buddhist teachings to modern life, looking at environmental destruction, social justice, race, and many other issues. You can listen on iTunes or Google Play to their bi-weekly episodes. 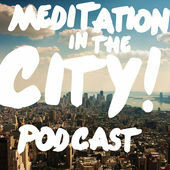 Meditation in the City is a great podcast that just came to our attention in recent months, and we’ve listened avidly since. Produced by Shambhala Meditation Center of New York, this podcast aims to make meditation accessible, dispel myths about practice, and offer ways to bring our practice to everyday life. Teachers like Ethan Nichtern, Natalie Baker, and Elizabeth Reid are some of the guests on the show. Every week, Meditation in the City releases a new episode covering a teaching or practice that is super useful to us in our lives. Check it out on iTunes. Thich Nhat Hanh is one of the most celebrated Buddhist monks and teachers of our time, and for good reason. His books on meditation include bestsellers, he has established monasteries across the world, and is a renowned activist, poet, and teacher. His podcast contains talks from his monastery, including some talks from senior monks in the tradition. Thich Nhat Hanh offers a simple mindfulness practice which we can bring to all of our daily actions, and is incredibly useful. Check it out on the website, or find them on podcast stores. The Mindful Awareness Research Center at the University of California, Los Angeles is one of the leading institutions in mindfulness research and training. Every week, UCLA hosts a meditation at the Hammer Museum in Westwood, and shares them via podcast. You can check it out on the MARC website to listen in every week. They have leading teachers visiting, and the classes are most often led by the director, Diana Winston. Refuge Recovery is a Buddhist inspired path to recovery created by Noah Levine and the amazing team at Against the Stream. It’s our program of choice for our recovery, and we love it! If you’re in recovery from addiction, mental health disorders, or any other form of adversity, this podcast is a great offering to check out! With many teachings and meditations from Dave Smith, Noah Levine, and others, this podcast is our favorite Buddhist recovery podcast out there by far! Check it out on their site, or find it on your favorite store. This podcast is hosted by the one and only Dan Harris, former host of Good Morning America. After his now-famous panic attack on the air, he turned toward meditation and wrote a best-selling book called 10% Happier. In his podcast, Dan connects with some great teachers and talks about meditation with kids, for students, for those struggling with mental health, and much more. It’s an entertaining and engaging look at mindfulness, meditation, and the science behind these practices. Listen and subscribe on Stitcher, Google Play, or iTunes. The Greater Good is a podcast, magazine, and source for news from the University of California, Berkeley. A well-respected research institution, UC Berkeley produces this wonderful podcast on the science behind mindfulness and meditation. This podcast is chalk full of amazing neuroscientists, mindfulness teachers, authors, and many other prominent meditation advocates. You can check it out on the Greater Good website or listen on your favorite podcast application!